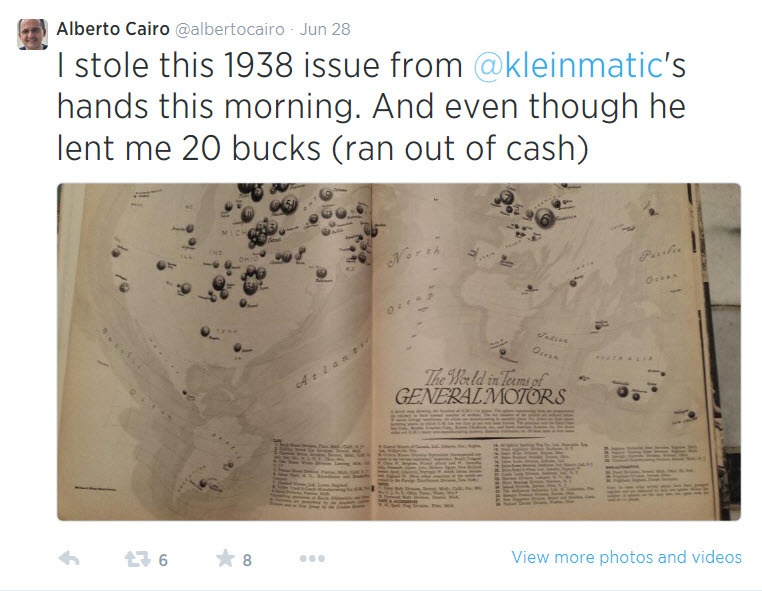 The other day on Twitter, Albert Cairo tweeted about a great visual map he found in a 1938 issue of Fortune Magazine at Steve Heller’s Moving Sale on Saturday, June 28th, 2014 in New York City. He is the co-founder and co-chair (with Lita Talarico) of the MFA Designer as Author program at the School of Visual Arts, New York, where he lectures on the history of graphic design. Prior to this, he lectured for 14 years on the history of illustration in the MFA Illustration as Visual Essay program at the School of Visual arts. 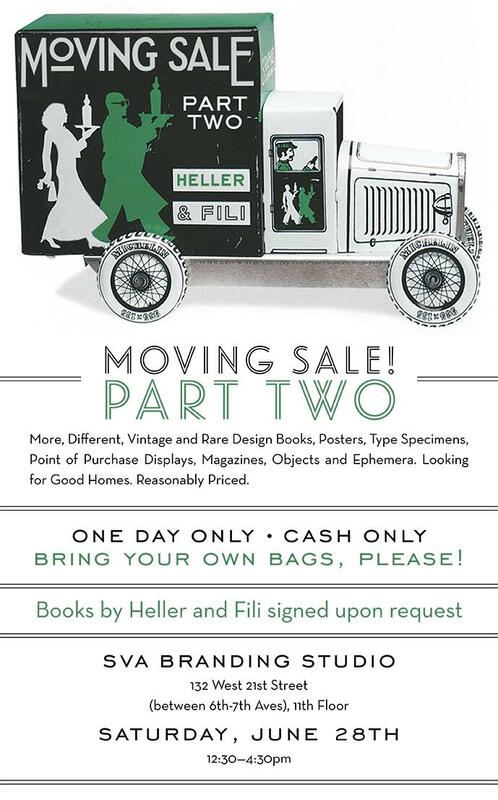 He also was director for ten years of SVA’s Modernism & Eclecticism: A History of American Graphic Design symposiums. 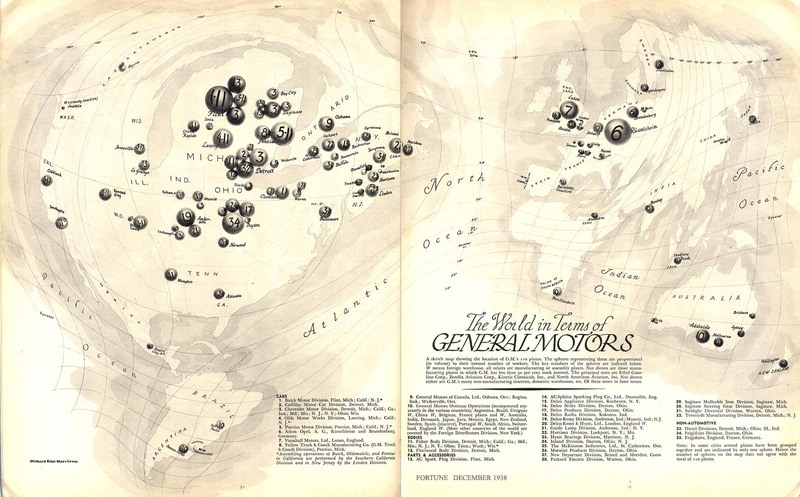 The visual in the December 1938 issue of Fortune Magazine was called The World in Terms of General Motors. It depicted a sketch map showing the location of (then) GM’s 110 plants. The spheres representing each plant are proportional (in volume) to their normal number of workers. 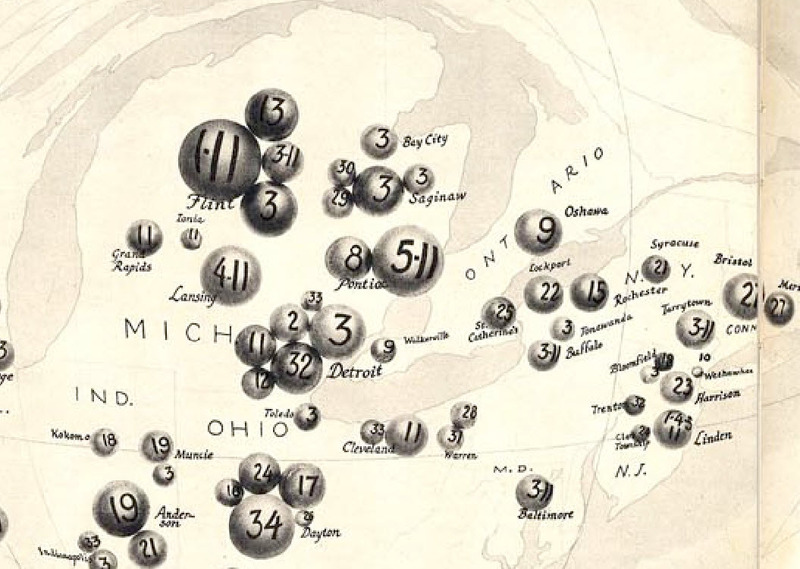 The key numbers of the spheres are indexed on the map. The map does not include those manufacturing plants in which GM has less than 50% stock. The principal ones are Ethyl Gasoline Corp., Bendix Aviation Corp., Kinetic Chemicals, Inc., and North American Aviation, Inc.
Not shown are GM’s many non-manufacturing interests, domestic warehouses, etc. So, finally, here is the complete map. Las Vegas, NV, January 28, 2014 – MicroStrategy® Incorporated (Nasdaq: MSTR), a leading worldwide provider of enterprise software platforms, today announced the availability of its new Parallel Relational In-Memory Engine (PRIME) option for the MicroStrategy Cloud™ at its annual user conference, MicroStrategy World 2014, in Las Vegas. MicroStrategy PRIME™ is a massively scalable, cloud-based, in-memory analytics service designed to deliver extremely high performance for complex analytical applications that have the largest data sets and highest user concurrency. Facebook has successfully built high value information-driven applications with the technology that powers MicroStrategy PRIME. 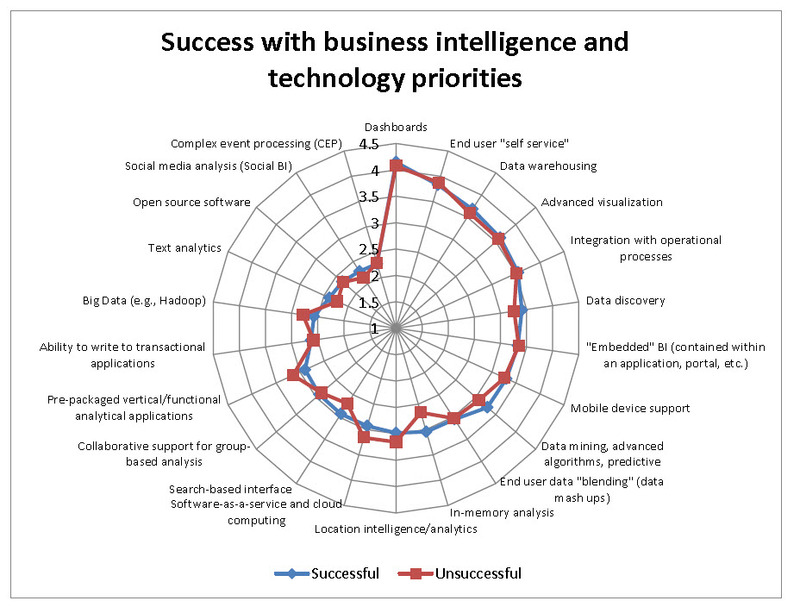 Most organizations struggle to harness the value of the information in their Big Data stores due to poor performance. Big Data technologies can store large amounts of information, but distributing that information in an interactive manner to thousands of users with existing commercially available technologies is a huge challenge, often resulting in risky, multi-year projects. MicroStrategy PRIME breaks new ground by tightly coupling a state-of-the art visualization and dashboarding engine with an innovative massively parallel in-memory data store. This architecture allows companies to build highly interactive applications that deliver responses to hundreds of thousands of users in a fraction of the time and cost of other approaches. MicroStrategy PRIME acts as a performance accelerator, opening up the data in databases to a much larger user population, driving new demand for information. 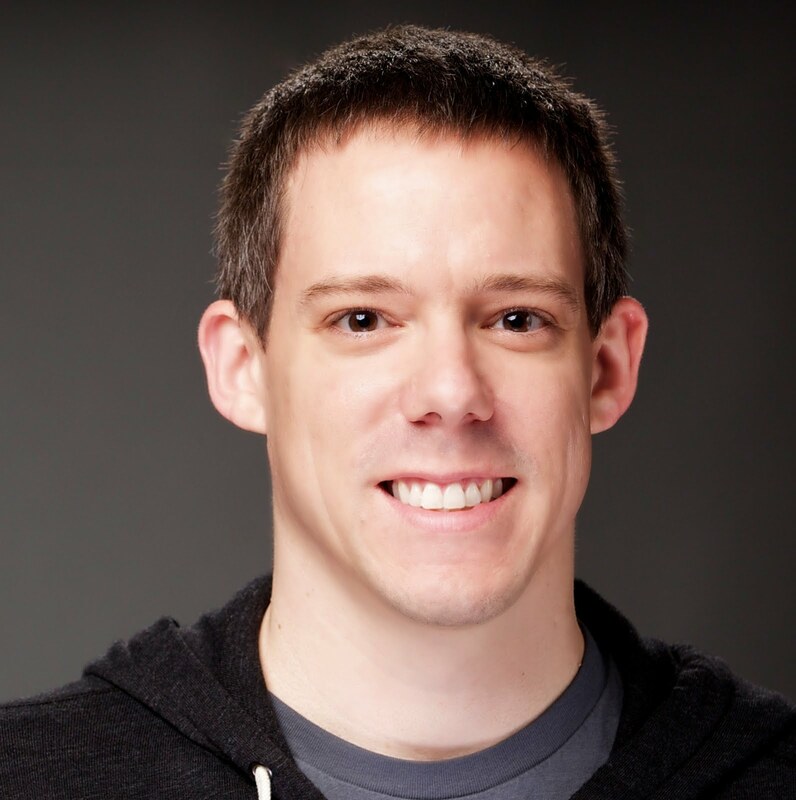 Massively parallel, distributed, in-memory architecture for extreme scale. MicroStrategy PRIME is built on an in-memory, highly distributed, massively parallel architecture, designed to run on cost effective commodity hardware. Complex analytics problems can be partitioned across hundreds of CPU cores and nodes to achieve unprecedented performance. MicroStrategy has worked closely with leading hardware vendors to take full advantage of today’s multi-core, high memory servers. Tightly integrated dashboard engine for beautiful, easy-to-use applications. MicroStrategy PRIME includes a state-of-the-art dashboard and data exploration engine, built on the MicroStrategy Analytics Platform™. 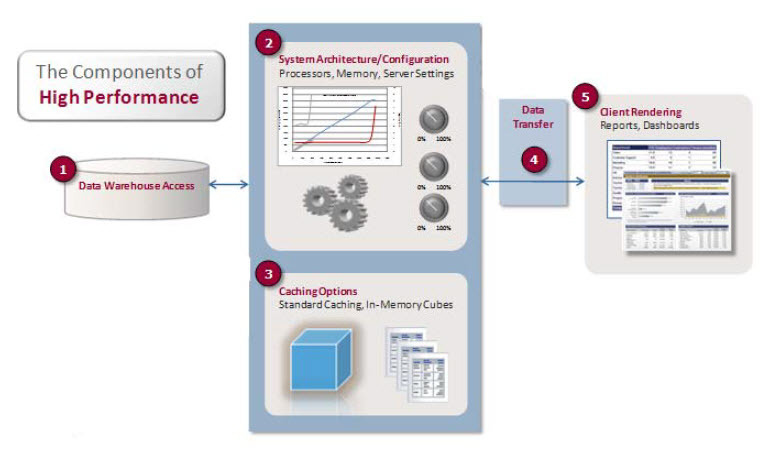 The visualization engine includes hundreds of optimizations designed specifically for the in-memory data store. This engine enables customers to build complete, immersive applications that deliver high-speed response. Cloud-based delivery for rapid deployment. MicroStrategy PRIME is available as a service on MicroStrategy Cloud, MicroStrategy’s world-class Cloud Analytics platform. MicroStrategy Cloud offers a complete service, including the infrastructure, people and processes to enable customers to quickly and easily develop and deploy high-scale, information-driven applications. Founded in 1989, MicroStrategy (Nasdaq: MSTR) is a leading worldwide provider of enterprise software platforms. The Company’s mission is to provide the most flexible, powerful, scalable and user-friendly platforms for analytics, mobile, identity and loyalty, offered either on premises or in the cloud. The MicroStrategy Analytics Platform™ enables leading organizations to analyze vast amounts of data and distribute actionable business insight throughout the enterprise. Our analytics platform delivers reports and dashboards, and enables users to conduct ad hoc analysis and share their insights anywhere, anytime. MicroStrategy Mobile™ lets organizations rapidly build information-rich applications that combine multimedia, transactions, analytics, and custom workflows. The MicroStrategy Identity Platform™ (branded as MicroStrategy Usher™) provides organizations the ability to develop a secure mobile app for identity and credentials. The MicroStrategy Loyalty Platform™ (branded as MicroStrategy Alert) is a next-generation, mobile customer loyalty and engagement solution. 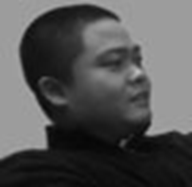 To learn more about MicroStrategy, visit www.microstrategy.com and follow us on Facebook and Twitter. MicroStrategy, MicroStrategy Analytics Platform, MicroStrategy Mobile, MicroStrategy Identity Platform, MicroStrategy Loyalty Platform, MicroStrategy Usher, MicroStrategy Cloud and MicroStrategy PRIME are either trademarks or registered trademarks of MicroStrategy Incorporated in the United States and certain other countries. Other product and company names mentioned herein may be the trademarks of their respective owners.